"A wealthy family. A deadly secret. A young woman with more to lose than she knows"
Josephine Montfort is from one of New York's oldest, most respected, and wealthiest families. Like most well-off girls of the Gilded Age, her future looks set – after a finishing school education, she will be favourably married off to a handsome gentleman, after which she'll want for nothing. But Jo has other dreams and desires that make her long for a very different kind of future. She wants a more meaningful and exciting life: she wants to be an investigative journalist like her heroine Nellie Bly. 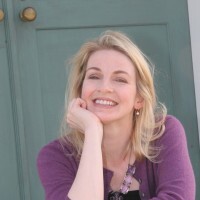 Jennifer Donnelly is the author of seven novels and a picture book for children. She grew up in New York State, in Lewis and Westchester counties, and attended the University of Rochester where she majored in English Literature and European History. Jennifer's first novel, THE TEA ROSE, an epic historical novel set in London and New York in the late 19th century, was called 'exquisite' by Booklist, 'so much fun' by the Washington Post, a 'guilty pleasure' by People and was named a Top Pick by the Romantic Times. Her second novel, A GATHERING LIGHT, set in the Adirondacks of 1906, against the backdrop of an infamous murder, won the Carnegie Medal, the Los Angeles Times Book Prize, the Borders Original Voices Award, and was named a Printz Honor book. Described as 'rich and true' by The New York Times, the book was named on the Best Book lists of The Times (London), The Irish Times, The Financial Times, Publishers Weekly, Booklist and the School Library Journal.